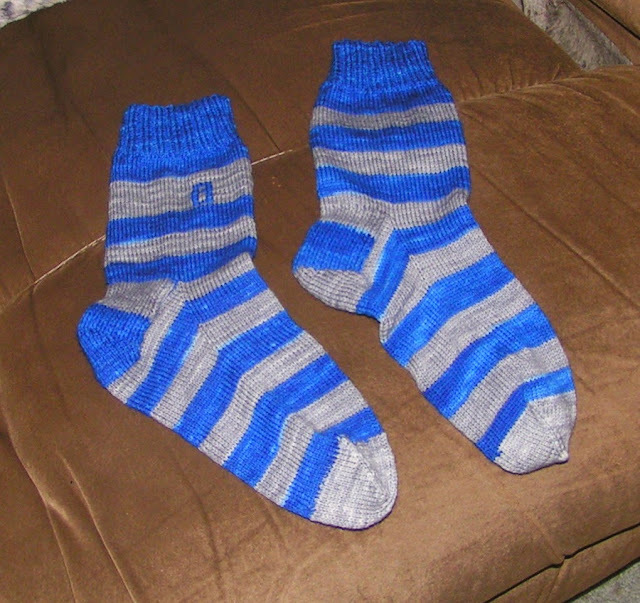 I told Kerry that he should be wearing his wool socks to keep his feet warm. He replied that he couldn't find them - not surprising since his room is a disaster. He requested a new pair in Dallas Cowboys colors. He's a good boy for me, so I got out the dyes and had some fun. I'm not sure how one of the gray stripes turned out a bit wider, but he doesn't care. He put them on right away and is excited to wear them. Oh wow! They look great! !